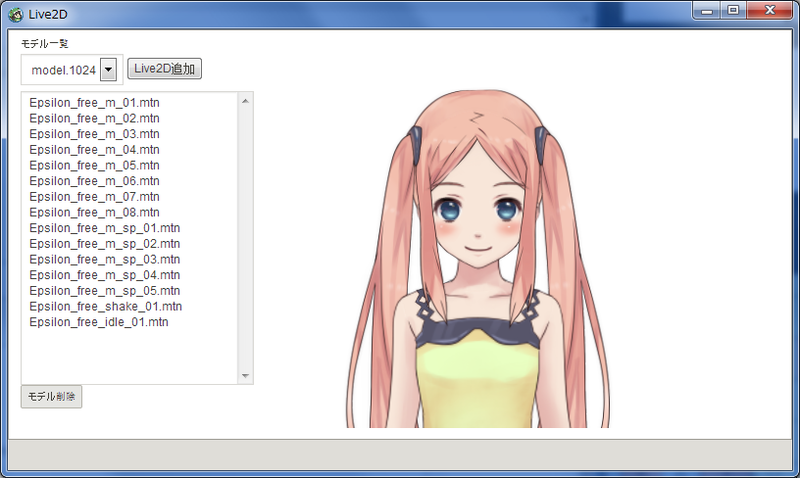 TyranoBuilder is Visual Novel GameEngine which supports Live2D. 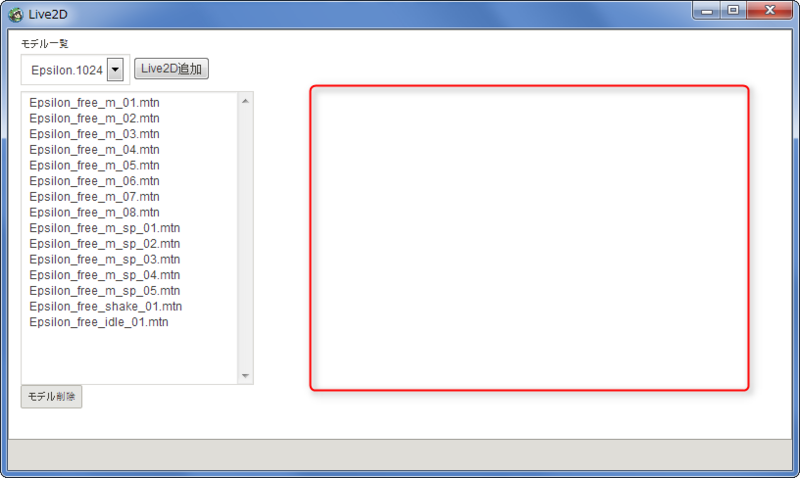 Instead of SDK2.1, there is no problem if output in SDK2.0. TyranoBuilder runs using WebGL SDK. 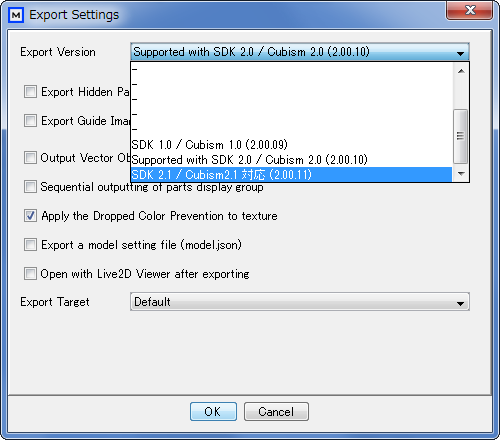 Wait until the SDK2.1 support of WebGL SDK. were do you select to use 2.0 vs 2.1? 1. You could selected the list at the bottom of the menu bar.